Throughout the month of October (2016), KDP is doing something truly fantastic: They are celebrating the hard work of Indie Publishers and the "great writing" of authors by featuring a select group of titles on their #PoweredByIndie web page. 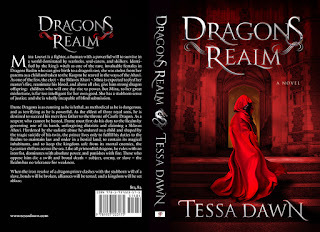 Among the titles chosen to appear on the landing page ~ Dragons Realm by Tessa Dawn. Yeah, that makes me smile. Writing is hard work, and so is marketing, publishing, and gaining recognition. 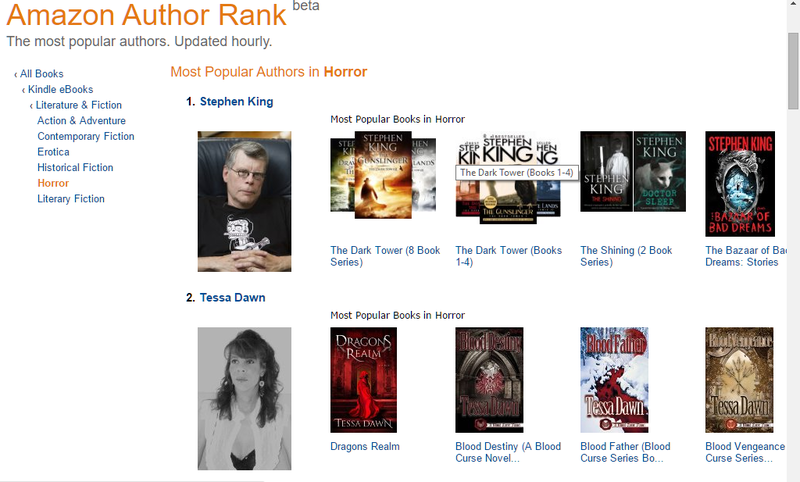 To have an industry giant such as KDP stop and take notice; well, that's just fantastic. For those who don't know my history as an author, I'm what they call a "hybrid." I started early in life, penning novels for fun; publishing poetry for greeting cards; contracting non-fiction academic curricula; and writing as a "ghost" for various publications. In other words, as long as I was writing, I was a jack of all trades: getting paid on the fly (one work and one contract at a time). Then, when I decided to return to my fiction roots, to my inborn love of storytelling, I went the "traditional" route with small presses. My books were cross-genre: Dark Fantasy and Gothic Romance. I wanted to explore the shadow themes of good vrs evil and love vrs hate in a way that wasn't neatly "mainstream." And I tended to tell a longer tale (about 105,000 words on average, rather than 85k). All of that meant I needed a publisher who would share my vision, give free-reign to my muse, and allow me to write my own, unconventional brand of heroes, heroines, and edge-of-your-seat suspense (vampires, dragons, and celestial gods...oh my!) wrapped in a familiar blanket of Gothic-style romance. I was able to get my feet wet. I was able to build up a readership. 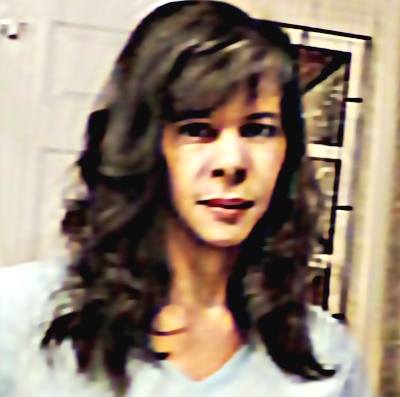 And I was able to learn the ropes - all while being supported by amazing editors, talented cover artists, and promotional assistance that allowed me to reach my target audience. But as the years passed, I realized I was ready to branch out, to take the bull by the horns, so to speak: I wanted even greater control and autonomy. And honestly, I wanted to tell stories full time, and that meant taking control of my writing as a full-time business: I did this in January, 2016, by officially acquiring control of all my books...past and future. I did it by entering the chaotic, often-stressful - but highly-rewarding - realm of Indie Publishing. The need to improvise, adjust, and improve never let's up. But having partners like KDP - visionary business models that understand and support small publishers and authors, folks who recognize and support hard work - has made all the difference. They have helped to level the playing field, so a good story can do what it's meant to do: reach its intended audience and entertain. For that reason and more, I am truly honored that Dragons Realm was chosen for the KDP #PoweredbyIndie distinction (you can find the title included HERE), and I am deeply humbled (and totally thrilled!) that it is being celebrated as "great writing." To be healthy, perfect, and whole? 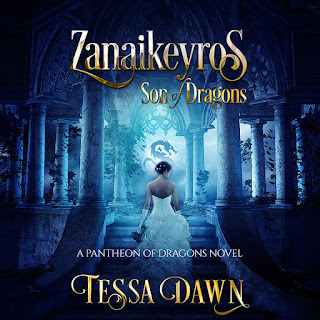 Would you accept vampiric-dragons as brothers; ancient lords as masters; demons and shadow-walkers as enemies? Would you enter the sacred Temple of Seven and submit to rebirth…by fire? ZANAIKEYROS ~ SON OF DRAGONS: where love requires valor, and valor demands the soul. And a knock your socks autuhor!